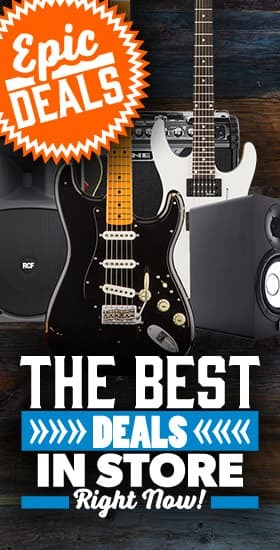 Ibanez - Andertons Music Co.
Ibanez are a driving force in the guitar world. 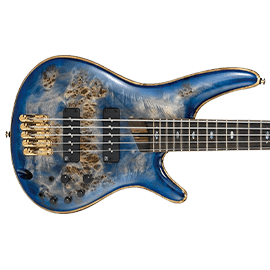 With a huge range of products including guitars, basses, acoustics, pedals and amplifiers, Ibanez have become a hugely popular brand. Attracting a number of players of all different styles. 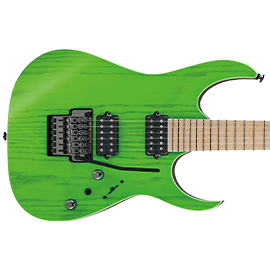 Ibanez are most often seen in the hands of big-hitters in the hard rock and metal scene. 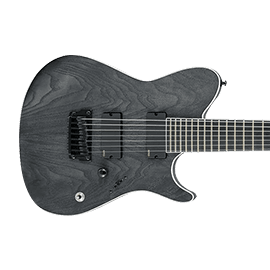 With legendary virtuosos such as Steve Vai and Joe Satriani using their guitars since the 80s, and modern metal pioneers like Tosin Abasi (Animals As Leaders) and Jake Bowen (Periphery) choosing Ibanez guitars to carve their ground-breaking sound, these instruments are built to ensure the best, no-compromise performance. Ibanez Guitars are a Japanese company with a long history, although the modern era of the brand began in 1957. 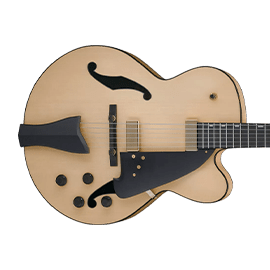 With original designs being considered fairly outlandish, it was in the 60s and 70s that Ibanez produced instruments inspired by the designs of more-established brands. Leading to a lawsuit, Ibanez started manufacturing original models such as the Iceman and Roadstar guitars. 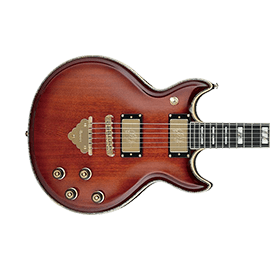 However, it was in the late 80s that Ibanez’s reputation accelerated. 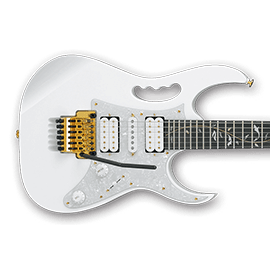 With renowned guitarist Steve Vai, who had played alongside Frank Zappa and David Lee Roth throughout the decade, Ibanez developed the iconic JEM guitar. 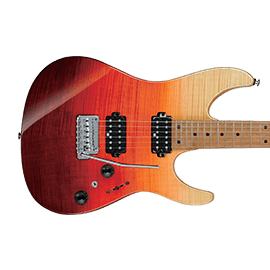 Featuring a pointed Strat-style body, thin neck profile, high-output DiMarzio pickups, a double-locking tremolo system and the famous “monkey grip”, this guitar took the industry by storm. This guitar inspired the RG line of guitars, one of Ibanez’s most recognisable models. By 1990 they developed the ground-breaking Universe guitar, the first mass-produced 7-string guitar available on the market. 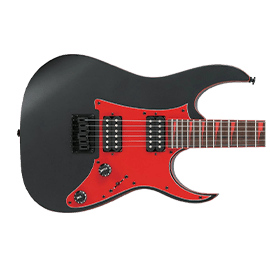 This instrument inspired a generation of metalheads, with bands like Korn and Fear Factory using the lower tuning to pioneer the Nu-Metal genre and beyond. 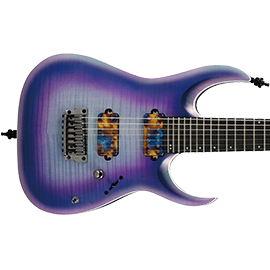 Throughout the 90s to present, Ibanez have become a massive player in the guitar world. With a huge range of instruments, they cater for players of all budgets and styles. The Ibanez range starts with GIO, an affordable guitar and bass line perfect for beginners. 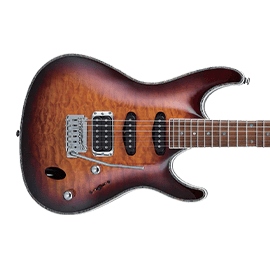 The Iron Label guitar range models are also affordable, featuring high-spec parts and finishes that provide the notoriously sleek Ibanez feel and performance. The recent introduction of the Premium range bridges the gap between the mid-tier instrument lines and high-end Prestige models. 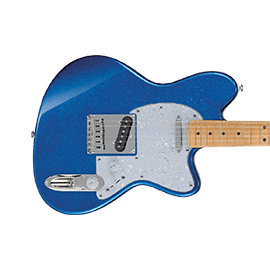 Built in Indonesia, these guitars and basses feature top-end hardware and electronics, built to an excellent standard that would satisfy professional musicians. 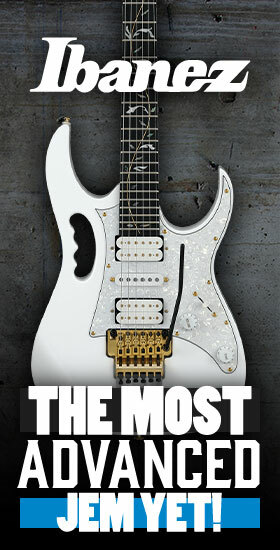 Ibanez’s top-of-the-range Prestige and J Custom guitars are Japanese-crafted beasts. 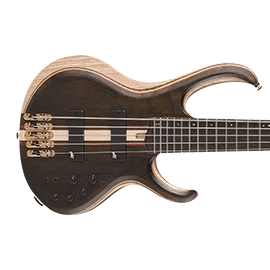 With only the best components used, these superior instruments feature the best hardware choices and woods available, with some of the best luthiers in the world constructing them.